We have long suspected that social media sites have had a negative effect on the world that we live in, with many people so involved in their ‘online’ persona that they fail to recognize what’s happening in the real world. However, the studies and data up to this point have been relatively vague. 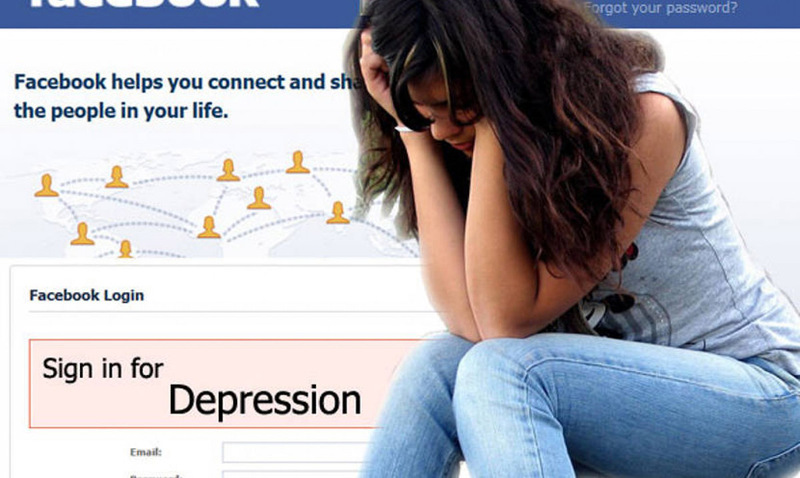 The latest report, however, draws a definitive link between Facebook and depression. Social Media Addiction has been an ongoing struggle in our society with the increased activity on social media sites such as Facebook, Twitter, Pinterest, Instagram, and Snapchat. It’s not at all uncommon to hear someone say that a change in life isn’t official until it’s ‘Facebook official’, and while there’s no denying that there is some humor to be found in that statement, it’s also a sad reflection of our society. With an estimated 214 million Facebook users in the United States alone in 2018, few will deny that it has earned its title as the most used social media platform in the country at this time. Businesses rely upon Facebook pages, groups, and advertising to increase their marketing reach, friends and family share photographs and videos of the greatest moments in their lives without having to concern themselves with boundaries and distance, and non-profit organizations spread the news of the next upcoming fundraiser using Facebook events. It’s a platform that seemingly has everything. However, with Facebook and Facebook messenger both available on our phones, we are now plugged into this digital world all the time. This is where we start to run into problems. Psychologists at the University of Pennsylvania recently conducted a study looking to better understand the impact of social media on our lives, including the psychology behind ‘fear of missing out’ and how social media greatly plays into this form of anxiety. The study, titled ‘No More FOMO: Limiting Social Media Decreases Loneliness and Depression’ involved a total of 143 students divided between 2 different trials, in the spring and fall semesters. Each of the students participating in the study was required to have an Apple iPhone, as well as accounts on Instagram, Snapchat, and, of course, Facebook. In the first week of the study, researchers monitored the social media habits of each of the participants, creating a baseline. In the 3 weeks that followed, the participants were then randomly assigned to either limit their social media use to 10 minutes per platform, per day, or to continue using their social media account as they normally would, unchanged. While the study was able to draw a clear connection between the levels of depression and loneliness experienced by the participants and their time spent on social media, it didn’t dive into the reason why the social media accounts would have such a significant impact on their mental health. It did, however, provide clear proof of a connection that experts have long suspected.